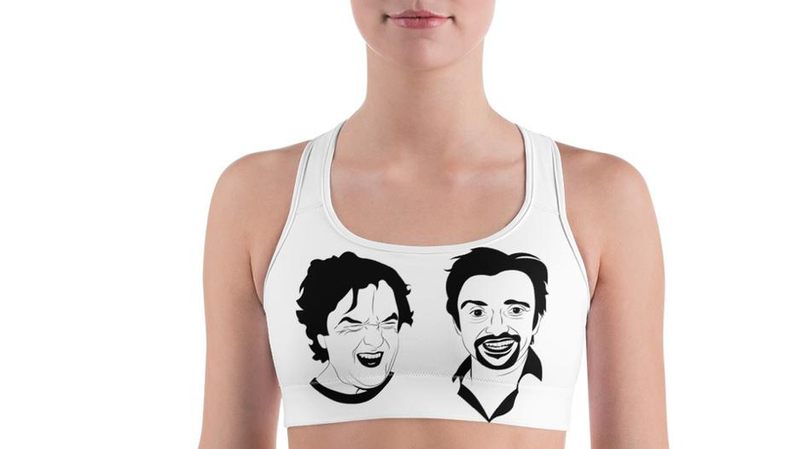 Luckily, the DriveTribe store knows what women want—the mugs of Richard Hammond and James May screen printed right across their chests. DriveTribe wisely stuck the two most charming hosts on the front of the bra. The real party’s out back, where they gave Jermey Clarkston a sort of ‘OBEY’ treatment.